Do You Know a Middlebury Student Who Deserves Recognition for Involvement in the Visual Arts? 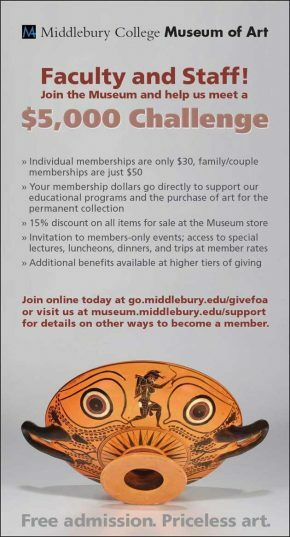 The Friends of the Middlebury College Museum of Art invite you to nominate a Middlebury College student whose contribution to the visual arts in the community merits distinction. The Friends have made an annual award to a college student for nearly two decades, and recipients have included sculptors, filmmakers, painters, critics for The Campus, Museum volunteers, and founders of the M Gallery. Anyone (barring a relative of the nominee) can make a nomination. Since many people were turned away from his original lecture on the Museum’s current exhibition Observing Vermont Architecture, Glenn Andres, Professor of the History of Art and Architecture, will reprise his introduction to the exhibition. His free lecture, scheduled for Monday, February 17 at 4:30 pm in Twilight Auditorium, will survey buildings both grand and humble, and designed by laymen as well as prominent state and national architects. 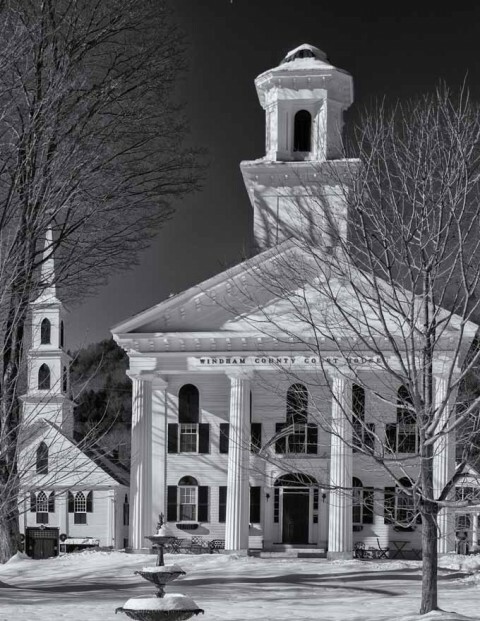 Andres and Curtis Johnson, photographer and co-author of Buildings of Vermont, will sign copies of their popular book—which will be available for purchase—following Andres’s talk in the lobby of Twilight Hall. 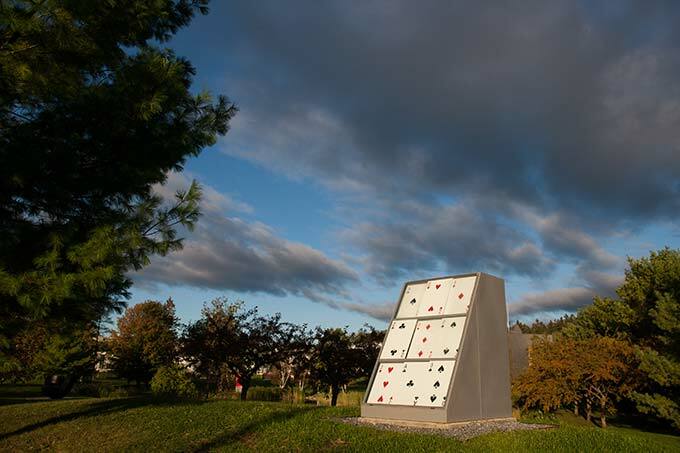 Formal Unveiling of Vito Acconci’s Newly Reinstalled Way Station Sculpture, Friday, October 18, 2:00 p.m.